These ACE approved podcast bundles are a fun and easy way to advance your knowledge and earn your ACE CEC’s with the click of a button. Our Podcast Bundles are perfect for fitness professionals looking to enhance their knowledge base and improve client results. Each bundle includes 10 x 45-60 min podcasts, showcasing a variety of subjects focusing on the most current industry information. Every podcast is related to enhancing your knowledge on maximizing performance, functional fitness, goal setting strategies, consistency, motivation, recovery strategies, measuring fat loss and nutrition for optimal performance. All podcasts are facilitated by health and exercise professionals. Obtaining your credit is easy. Simply download and listen to each podcast, list 10 things you learned from each podcast (for a total of 100 items learned for each bundle) and email [email protected] to obtain your ACE credit. After listening to all 10 podcasts you should be able to; write more effective programs for clients looking to enhance performance based on learning tips and strategies, understand and explain exercise facts vs. myths, understand and explain the importance of rest and recovery for performance, understand and explain modern and accurate ways to measure fat loss and learn new strategies for goal setting and maintaining client motivation and consistency. After listening to all 10 podcasts you should be able to; Understand and speak to the APO E Gene Diet, utilize mental training techniques that reprogram the brain to diminish chronic pain and re-establish proper motor control to affecting areas; learn how diet, nutrition and exercise affect and help regulate hormones; explore how nutrients from vitamins, minerals and amino acids help to control male and female hormones as well as optimizing thyroid and adrenal hormones to enhance physical and mental performance; learn the key principles of mental training to help reach fitness goals faster; learn how nutritional needs change as one ages and how to eat right for your activity level; learn methods to boost your body’s own ability to fight allergies and heal with holistic medicine, learn what stress, adrenal and thyroid function has to do with disease and stubborn weight, gain a thorough understanding of dietary supplements with facts on the top supplements on information on which supplements work and which don’t for a wide range of health conditions. After listening to all 10 podcasts you should be able to; understand why we get fatter as we age, how we can prevent cancer through nutrition, the alarming trends in women’s health, how hormones can affect your health, Myofascial release techniques and the benefits, legal lessons for your fitness business, how to implement Tabata into your client’s sessions and what obesity has to do with Cancer. 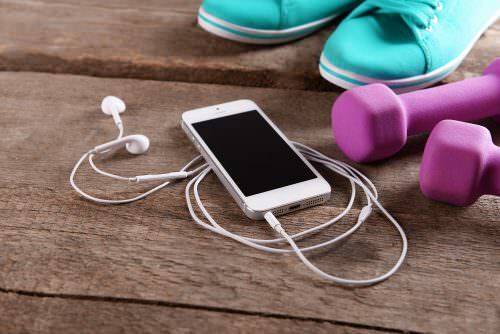 Get the most out of you and your client's workouts with these performance enhancing podcasts. 1. Are You Fit For Love? Download now, listen instantly or take with you and listen in the car or at the gym! Take a holistic approach to your client's goals with these themed podcasts. 1. Why do we get fatter as we age?